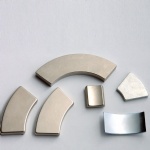 Neodymium magnet (Nd-Fe-B) is one of the highest property and strongest permanent magnet by now, are made through powder metallurgy manufacturing techniques. 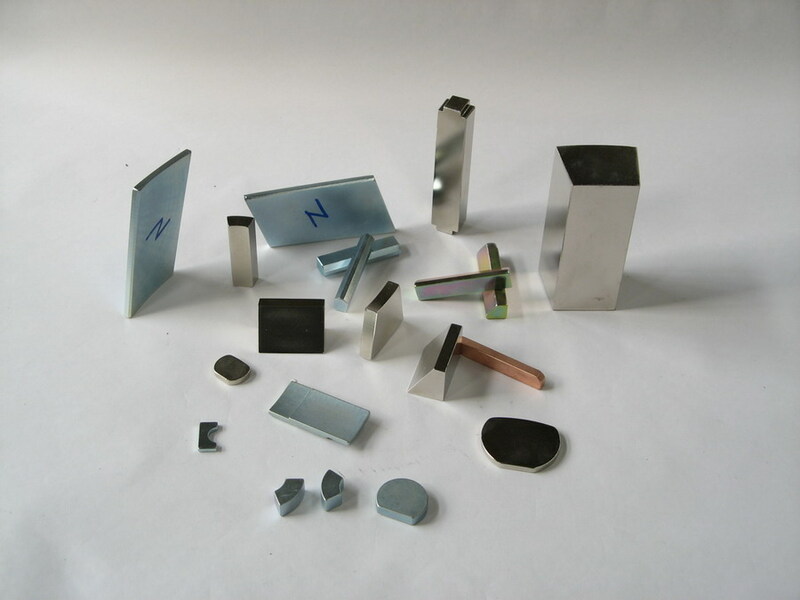 They are mainly composed of neodymium(32%), iron(64%), boron(1%), and a few quantity rare earth material, such as Dy, Tb, Co, Nb, Ga, Al, Cu, etc. Neodymium magnet is regarded as “Magnet King” due to its recorded high performance, coercive force and maximum energy product. 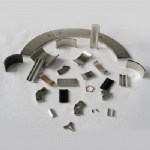 With Neodymium magnet rapid development, many high-tech products were developed. Especially its application in motors makes products miniaturization and micromation. At the same time, because of its high performance,coercive force and maximum energy product, this type magnet is widely used in servo motor, flat brushless motor, step motor, IT products, Nuclear Magnetic Resonance, speaker and other products. Neodymium magnet is easily rust and oxidated, so their surface must be plated Zn, Ni, Silver, Gold or made phosphor and epoxy treatment. Our company has advanced scientific research and production equipments, strictly following ISO9001 Quality Management System to manufacture. We continuously strengthen inner management. From melting, milling, sinter and then process, all the working procedure are very perfect. The manufacturing technique are excellent. 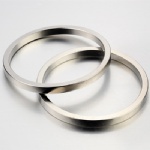 We can supply various dimension neodymium magnets with high property and enduring high temperature. The mainly higher product Grade is N45, N48, N50, N52, 48M, 50M, 44H, 46H, 48H, 42SH, 44SH, 38UH, 40UH, 33EH, 35EH. Sonic Equipment: Earphone, Microphone, Loudspeaker. Apparatus: Electricity Meter, Velometer, Flow-meter, Tachometer. Medical Device: Magnetic Resonance Image Device, Water Magnetizer, Magnetic Therary Device. Micro motor and special motor: Voice Coil Motor(VCM), Step Motor,Texture Motor, Geared down Motor, Disk Motor, Servo Motor, and Permanent-Dynamic System. Industry installation: Magnetic Clamp, Magnetic Crane/Magnetic Lift, Magnetize Filter, CD-ROM, petrol dewaxing Equipment, Magnetic Coupler, Magntic Switch, Generator, Magnetic Separator.